Cool set of articles to help you! To introduce Newz Crawler, we are offering a $24.95 SPECIAL LIMITED TIME OFFER for this version! Click here to order now! 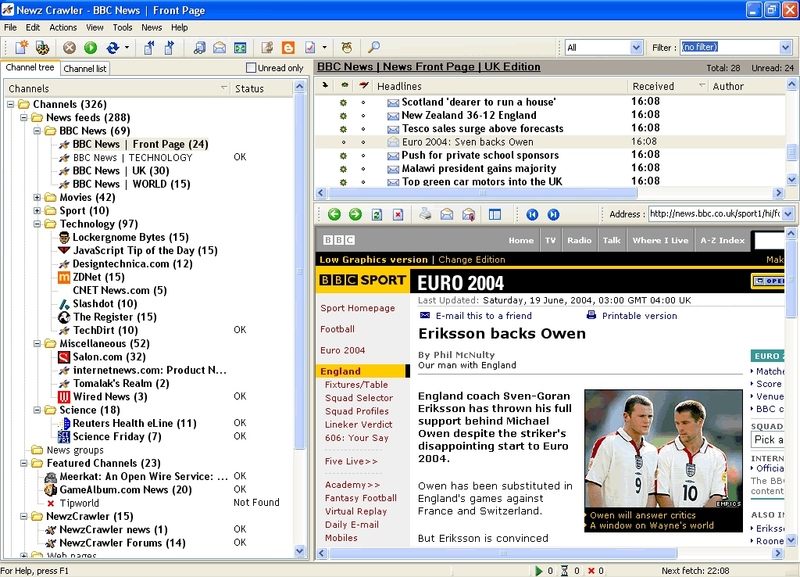 NewzCrawler is a web news reader & browser which provides access to a news content from different sources: RSS\ATOM, Usenet and Web.